Cute pattern of lambs in a garden, illustration made with gouache. 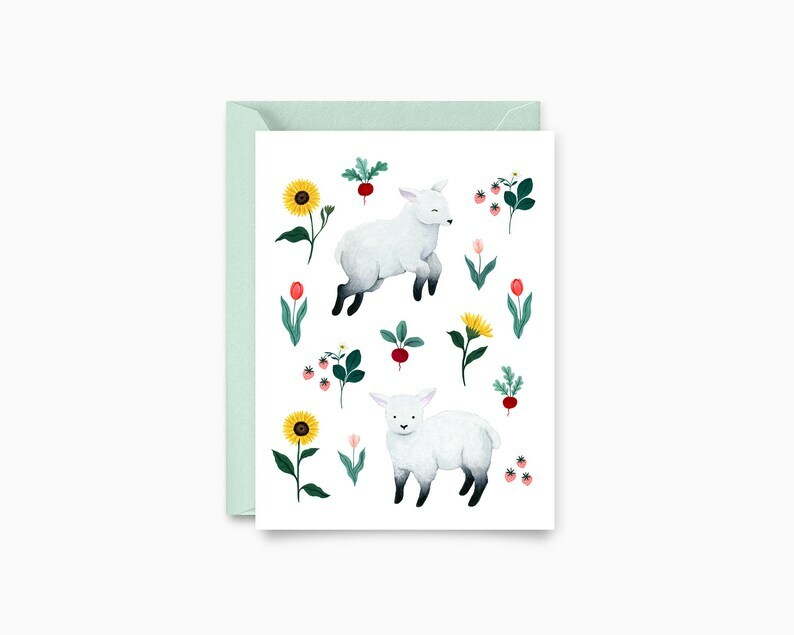 Greeting card perfect for every occasions: birthday, mother's day, father's day, baby shower, etc. !